Grace Kelly, Rita Hayworth and a number of other Americans joined the royal ranks over the years. When Kensington Palace announced the engagement of Prince Harry to Meghan Markle last November, the love-struck couple enchanted the entire world with their real-life fairy tale. But Markle is just the latest American to join royal ranks. It’s a rare but glamorous status of nobility that few can claim but many love to dream about. The last time an American married a British royal, it created an incredible disturbance that ultimately altered the life of its current monarch, Queen Elizabeth II. American socialite Wallis Simpson had already stolen the heart of King Edward VIII when he inherited the throne on Jan. 20, 1936. But the king's marriage proposal to the twice-divorced Simpson just months later created a national uproar that prompted King Edward to abdicate rather than continue to reign without the woman he loved by his side. The king stepped down in December 1936, turning over the throne to his brother, George VI, Elizabeth's father. He married Wallis six months later in a small private ceremony in France. That scenario is far from anything likely for Markle and Harry, who recently fell to sixth in the line of British succession after the birth of his newest nephew, Louis. 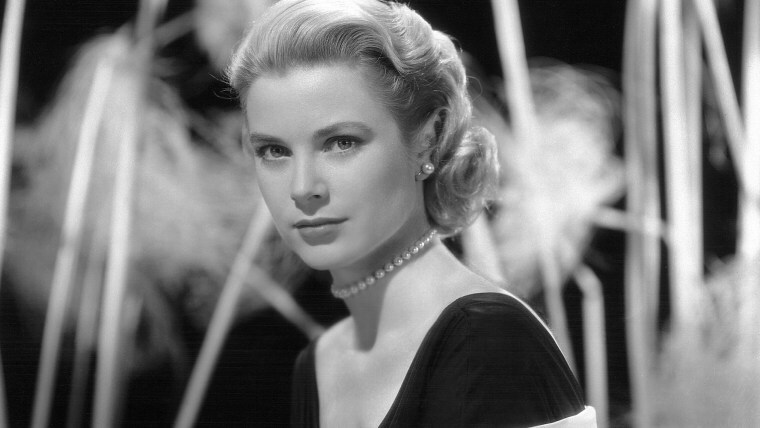 Perhaps the most famous American princess, Grace Kelly, like Markle, was an actress before she became a royal by marrying Prince Rainier III of Monaco. The Oscar-winning actress met the prince during a photo shoot at the Cannes Film Festival in April 1955. The pair were engaged by Christmas and married the following April. She lived in Monaco until her untimely death at age 52 in a 1982 car accident. Another star of the silver screen who met her prince at Cannes, Rita Hayworth officially became a princess upon marrying Prince Aly Khan, the son of the Aga Khan, the former spiritual leader of a Shia sect of Muslims. The couple married in May 1949 and had one daughter. After divorcing four years later in 1953, Hayworth returned to Hollywood and making movies. As the younger sister of Jacqueline Kennedy Onassis, Caroline Lee Bouvier already was linked to America’s version of royalty when she married Prince Stainslaw Albrecht Radziwill of Poland on March 19, 1959. The couple lived in London and had two children, Anthony and Anna Christina, whose godfather was the late President John F. Kennedy. The couple were married for 15 years before their divorce. Radzill later married film director Herbert Ross, but then returned to using her children's surname. Known as Queen Noor since her 1978 wedding, the Princeton University graduate was raised in Washington, D.C. and working for Royal Jordanian Airlines when she met King Hussein of Jordan. She took the name Noor, the Arabic word for “light,” when she converted to Islam and got married to the sovereign. The couple had four children and were together until the king's death from lymphoma in 1999. The Seattle-born model spent years modeling for the likes of Prada, Chanel and Calvin Klein when she got married in 2013 to Prince Rahim Aga Khan, the eldest son of the billionaire spiritual leader of Ismaili Muslims — and the grandson of Prince Aly Khan, Hayworth’s former husband. She has continued modeling but is now known as Princess Salwa Aga Khan and is now a mother of two.